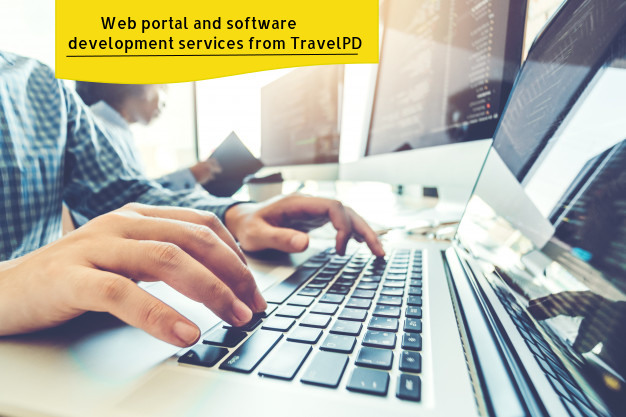 TravelPD is one among the best travel tech solution providers in the IT industry since 2010, offers a range of web portal development services that fulfil various business needs with best features. Our highly experienced developers serve clients in categories such as portal development, mobile app development, web development, e-commerce portal development, software development, GDS/XML/API integrations etc. TravelPD covers all the top categories of travel and hospitality industry. Our web portal and software development services empower small and large scale companies. Our developers have unmatched skills in technologies like wordpress, drupal, magento and many more! We provide software development services for flights, hotels, rental cars, tours, cruises, bus, sightseeing and insurance. Our highly skilled professionals use the most efficient & sophisticated software development tools available in the market! We offer the best web portal/ travel portal development services to clients in USA, UK, Canada, Australia, Jordan, Egypt, Saudi Arabia and more! Our offerings include flight booking portal development, hotel booking portal development, car booking portal development, tour booking portal development, cruise booking portal development, bus booking portal development and sightseeing portal development. Interested to know more about our travel portal and travel software development solutions? Reach us today!